Congress holds its first hearings Monday on the "gunwalker scandal" that CBS News first uncovered back in February. 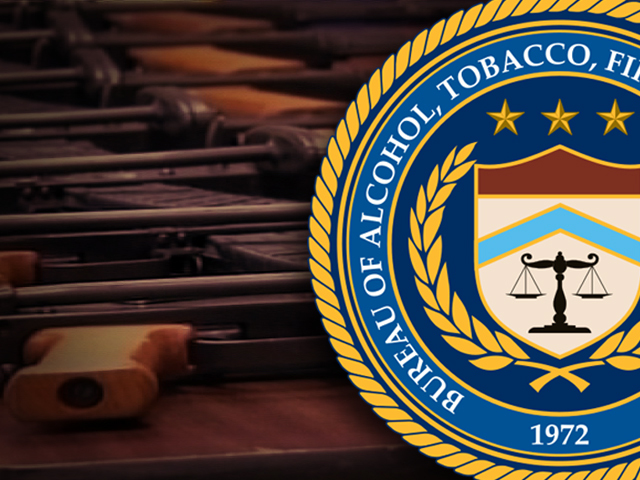 Officials at the U.S. Bureau of Alcohol, Tobacco, and Firearms (ATF) encouraged gun shops to sell thousands of assault rifles and other weapons destined for Mexican drug cartels. On "The Early Show" Friday, CBS News Investigative Correspondent Sharyl Attkisson reported those who defend the strategy say their goal was to let the little fish go -- to get the big fish. But insiders say, in the process, lives were needlessly put in danger. Attkisson initially broke the story for CBS News. Last June, about nine months into the ATF operation known as "Fast and Furious," suspects had "purchased 1,608 firearms for over $1 million in cash transactions at various Phoenix-area gun shops," according to internal documents obtained by CBS News. The documents indicate ATF already knew that 179 of those very weapons had turned up at crime scenes in Mexico, and 130 in the U.S. Yet, ATF allowed some of the same suspects -- accused of being middlemen for Mexican drug cartels -- to continue to buy and transfer assault weapons. Sometimes, agents say, they videotaped the buys, but didn't interdict the guns. Documents indicate intentions were good. The idea, according to those documents, was to "allow the transfer of firearms" to pinpoint big cartel crooks rather than the small-time traffickers supplying them. Former New York State Deputy. Secretary of Public Safety Mike Balboni told CBS News, "They want to change the dynamic and truly go after the kingpin, so give the kingpin something that they can't resist -- this flow of weapons over 15 months -- and then track 'em, find 'em and take 'em down." But several ATF agents strongly objected to letting any guns "walk." Darren Gil was ATF's lead official in Mexico during "Fast and Furious." He told CBS News, "We're in the business of interdicting weapons; we're not in the business of putting weapons out there for criminals to use. And that's what happened in this case." Attkisson reported that sources say putting electronic trackers on the guns usually wasn't possible and the number of weapons let on the street in Fast and Furious grew to more than 2,500. One suspect allegedly purchased 20, even 40 weapons at a time, and at least 220 over the course of about a year. That included 178 AK-47-type assault rifles and three Barret 50-caliber rifles. "Using our sources, and reviewing documents provided to us over the past four months," Attkisson said, "we've been able to piece together a disturbing picture of where 'Fast and Furious' guns have turned up so far: at a dozen seizures and crime scenes along the U.S. border and in Mexico. Most notably, two turned up last December at the murder of Border Patrol Agent Brian Terry in Arizona. And documents obtained by CBS news indicate some of the weapons were recently found at a drug cartel shooting of a government of Mexico helicopter, as shown on a Spanish language website. Even insiders appeared awed by the scale. Six months into the investigation, in March of last year, a senior ATF attorney under the Justice Department commented, "Every time I read this case, I am amazed at the amount of firearms we are talking about." Acting ATF director Kenneth Melson and his deputy, William Hoover, are said to have been "briefed weekly" on the investigation. ATF Special Agent John Dodson worried about all those guns hitting the streets. Dodson said, "I don't think anybody really fathoms how long we're gonna be dealing with this. The gun is not gonna go away. It's not a one-time use." Dodson is expected to testify at a hearing Wednesday along with two other special agents. Attkisson said Monday's hearing will explore whether the Justice Department has obstructed justice in withholding certain information from congressional investigators. That agency has said it's cooperating with the Inspector General's probe. "Early Show" co-anchor Chris Wragge asked Attkisson if the ATF's plan of going after the big fish -- or large drug cartels -- has paid off. He asked, "Is there any proof this actually worked in any instances?" "Not yet," Attkisson said. "The idea was to try to take down a major cartel. That didn't happen. Insiders say they still hope evidence they have gleaned from some of this operation that went on over 15 months may eventually help do that. So far, it has not done that. And the argument on the other side, from the insiders who did not approve of the strategy, said you never let one gun walk. It's too dangerous. Even if you're trying to get the big fish."